A back-and-forth between one of President Donald Trump’s federal judicial nominees and a Democratic senator is picking up steam across the internet because the nominee wouldn’t say whether the 1954 Supreme Court Brown v. Board of decision that ended segregation in the nation's public schools was correctly decided. But the nominee, Wendy Vitter of Louisiana, did later clarify during the nomination hearing that “yes,” she believes segregating schools by race is immoral. The video that has been shared thousands of times, however, is of Vitter responding to a question about whether she believes the Supreme Court decision was correct. The question — likely asked to gauge Vitter’s stance on respecting Supreme Court precedent set by big cases like Brown and Roe v. Wade — was from Sen. Richard Blumenthal, a Democrat from Connecticut. "I don't mean to be coy, but I think I get into a difficult… area when I start commenting on Supreme Court decisions, which are correctly decided and which I may disagree with," said Vitter, who became general counsel for the Roman Catholic Archdiocese of New Orleans in 2012, is married to former Sen. David Vitter, R-La., once known for his part in the “D.C. Madam” scandal. "Again, my personal, political or religious views I would set aside. That is Supreme Court precedent. It is binding. If I were honored to be confirmed, I would be bound by it and, of course, I would uphold it," she said. "Do you believe it was correctly decided?" repeated Blumenthal. "Again, I would respectfully not comment on what could be my boss' ruling — the Supreme Court," Vitter said. "I would be bound by it, and if I start commenting on: 'I agree with this case' or 'don't agree with this case,' I think we get into a slippery slope." 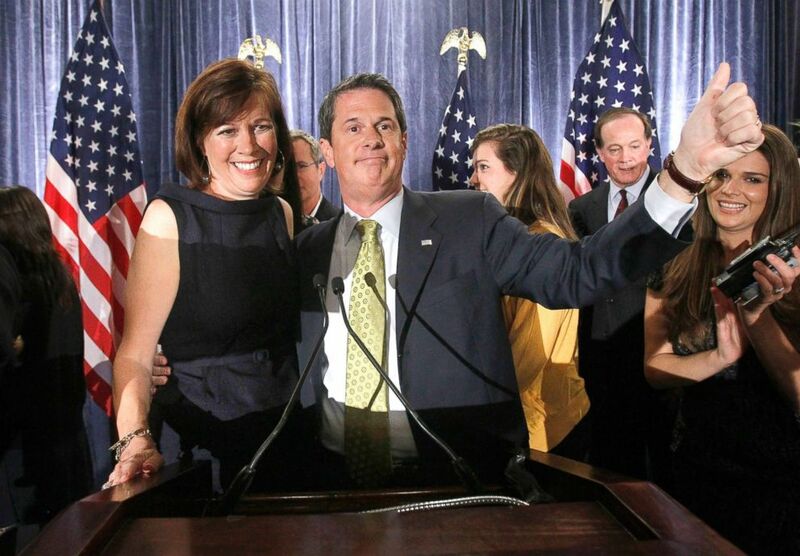 Sen. David Vitter, R-La., right, gives a thumbs up with his wife, Wendy, at an election night party in Kenner, La., Nov. 2, 2010, after defeating Rep. Charlie Melancon, D-La., for a second term in office. Later, Blumenthal — who in the past called “many” of Trump’s nominees “ideologically extreme and patently unfit for the bench” – responded on Twitter. “Judges face many hard questions. This was not one of them. If you can’t affirm that the Supreme Court was right in desegregating schools, you don’t belong on the federal bench,” Blumenthal wrote with a retweet of the video. But an expert in judicial hearings cautioned against interpreting her response as her personal belief, saying it should be viewed instead from the perspective of a possible judge. “I don't think it speaks to the nominee or the question,” Tobias said, both of which he described as in “good faith." 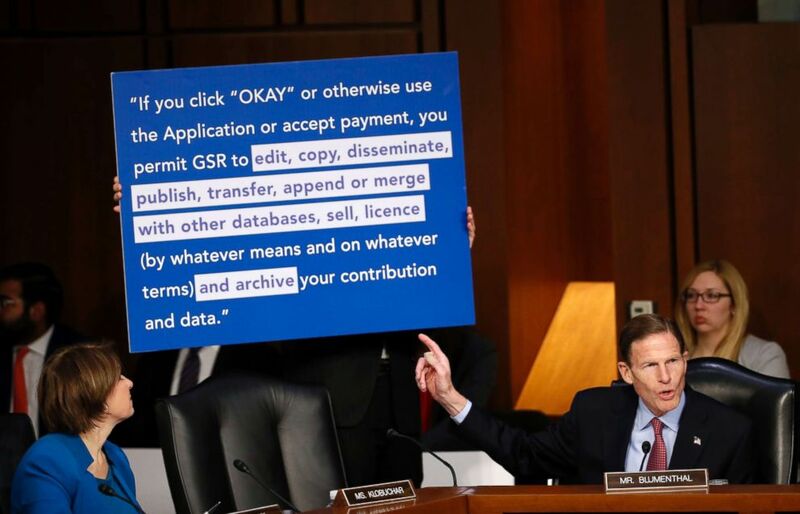 Sen. Richard Blumenthal, D-Conn., points to board as he questions Facebook CEO Mark Zuckerberg testifies before a joint hearing of the Commerce and Judiciary Committees on Capitol Hill, April 10, 2018. Her answer was likely “misinterpreted” around social media, Tobias said — though he did say Vitter did seem to be “overly cautious” in her response, especially because she later clarified her stance. Judicial nominees need 51 votes to be confirmed in the Senate. Currently, there are 51 sitting Republicans. Vitter's confirmation hearing was expected to be contentious among Democrats given her personal stance on abortion and her prior comments about reproductive health. In May 2013, while speaking at a protest of a new Planned Parenthood clinic in New Orleans, Vitter attacked the organization, claiming that they "kill over 150,000 females a year." Later that year, while moderating a panel called "Abortion Hurts Women’s Health” at the Louisiana Needs Peace Conference, Vitter called for the distribution of a brochure entitled "The Pill Kills," which featured unsubstantiated information about supposedly harmful side-effects of birth control, Sen. Mazie Hirono, D-Hi., said. Asked about the brochure Tuesday, Vitter said she was "not a medical professional" and that she'd stopped herself from calling them "facts," instead calling it a "brochure." On Planned Parenthood, she refused to say whether she still believed the group kills 150,000 women per year, responding only that her "pro-life stance has been made very clear." Adam Kelsey contributed to this report.